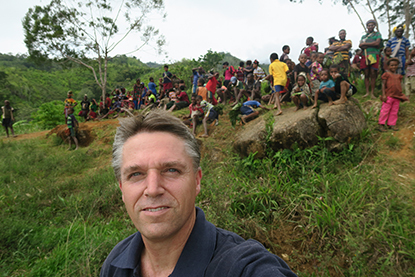 Michael Wakefield (radio technician and General Manager of CRMF) recently spent a week and a half in several remote areas, repairing and installing radios. 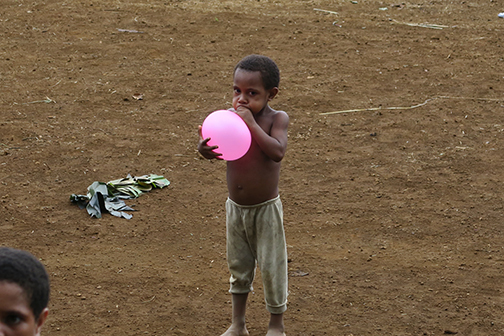 The first few days he spent traveling to four different villages in the Enga Province. 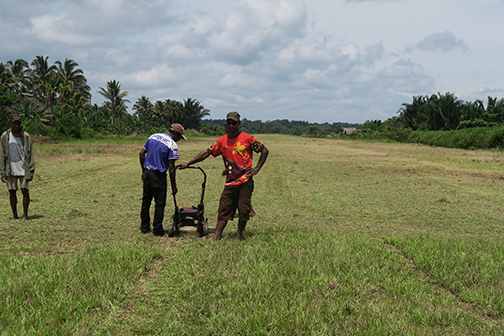 In Yengkis, Lapalama, Aikos, and Kompiam, he repaired three radios, a lawn mower (to keep the airstrip mowed), and looked at and accessed many solar products and inverters for the locals. 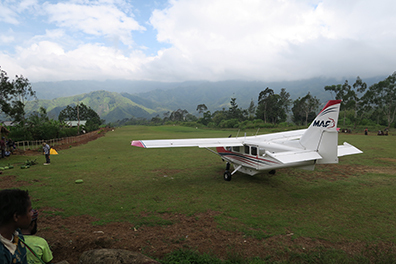 After traversing Enga for several days, Michael hopped on a MAF flight to Fogomaiyu, in the Southern Highlands near Mt. Bosavi. 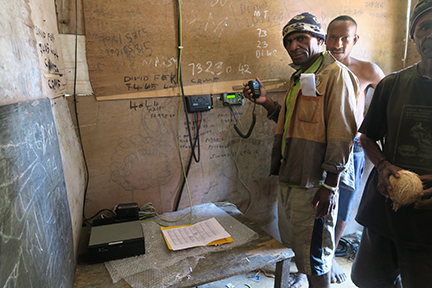 Fogomaiyu has an area effected by the large 7.5 earthquake earlier in the year and has been without a functional radio for roughly over 8 years. 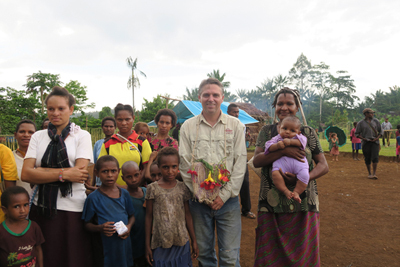 World Vision, MAF, and CRMF all worked together to fund and install this radio. 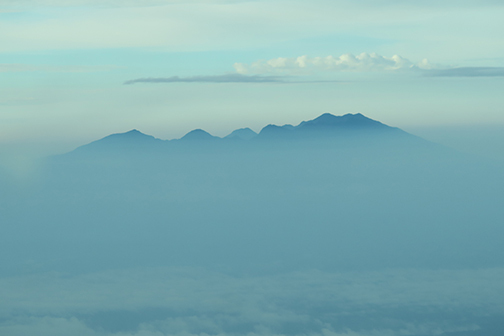 But after getting close to Mendi the plane were forced back due to a huge wall of cloud. “This flight was worth K2,600,” explained the MAF pilot. “If the radio had already been installed, that K2,600 would have been saved, ” Michael explained during his report back to the staff. This is one of the reasons a radio is so important. 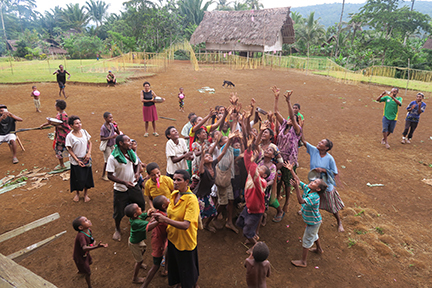 Basic communication would happen, and time and money would be saved for both agencies like MAF and the local villagers. Weather reports could prevent wasted flights from being made. The next day Michael was finally dropped off and was told that the pilot could pick him up that same day if he got the radio installation done fast enough. 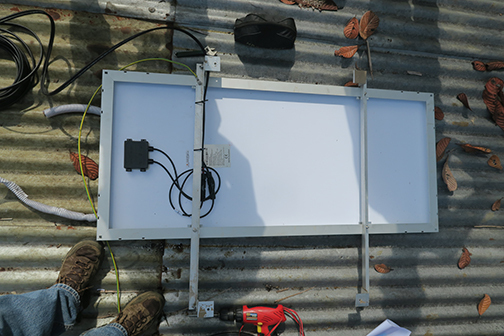 Amazingly, with the help of the community, within four hours the radio had been tested and was running smoothly. 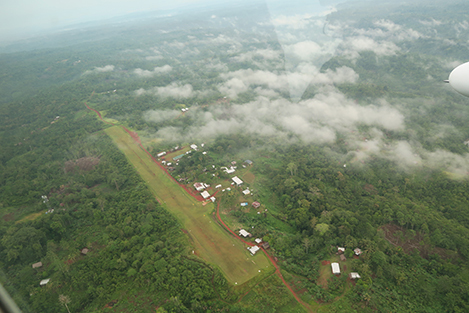 As the afternoon wore on, some clouds started gathering over the airstrip. 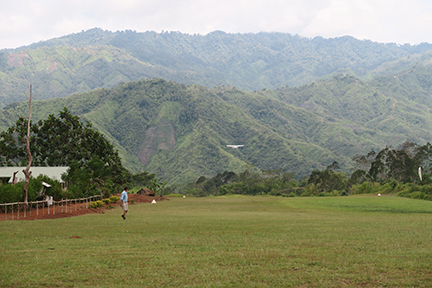 With half the airstrip covered in storm clouds and the other half clear, Michael saw the airplane approaching. Grabbing his bag, he got ready to leave, only to see the airplane turn around and head back to Hagen. This is what the villagers face all the time. Needing help, but also knowing weather, logistics, remoteness, and time is fighting against them. “… But God has his plans.” Unfazed, Michael was able to look forward to two more days with the people of Fogomaiyu, even acting as guest speaker at their youth event. Passing out a lot of lollies and balloons, Michael made friends quickly. “I had a good time. The community was great and easy people to work with. They will be great partners in the future. 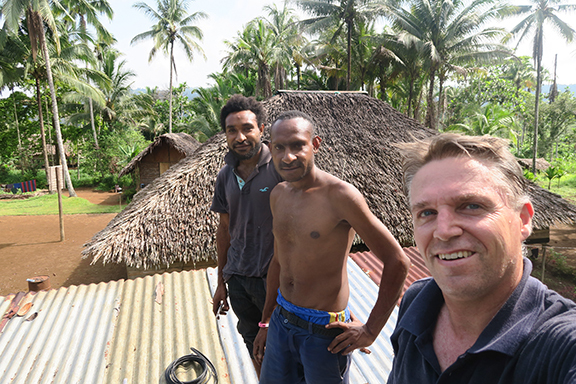 “Spending time in the bush is healthy, because it inspires us again when we come back to the office, why we are doing what we are doing,” Michael explained. This photo was taken in Fogomaiyu. See the two smartphones? In a place with no communication what’s the point of owning a smartphone? 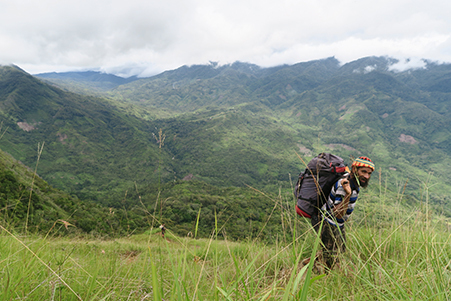 A three-hour hike away from this village there is a mountain referred to as “the phone box.” This mountain sometimes receives a Digicel signal, allowing the locals to connect to their relatives living in other areas around PNG. Imagine if there had been an emergency, a child birth gone wrong, a snake bite, or someone hurt by a machete. 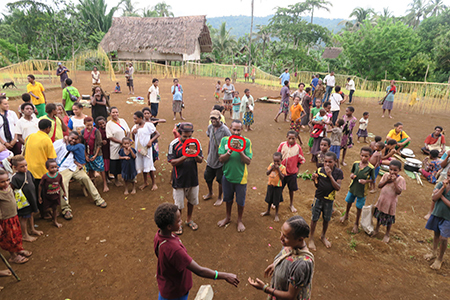 Days away from the nearest road and with no communication to call MAF or another supporting agency, the villagers would sadly have been at the mercy at whatever they had on hand. What is the villagers response to the radio install? “Ecstatic! There were speeches and bilums were given away. They know [the radio]’s a prized possession and they could never afford it.” Michael reported back. 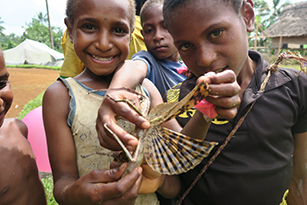 It was a privilege to provide this radio with the partnership of World Vision and Mission Aviation Fellowship PNG. Constant, reliable communication matters. It’s money saving, time saving, and most importantly, lifesaving.